As mentioned previously, April was a busy month for me. Part of that included a trip to Japan. It was a lot of other firsts, too, but most importantly it was an incredible, refreshing visit with one of my dearest friends. Today, I wanted to share some of the trip with you. In typical Beth fashion, I’ll focus on the stories and history (probably). My first day in Tokyo, we went to the Tokyo National Museum. It’s in a gorgeous park with a Buddhist temple and Shinto shrine. I’d just finished teaching about medieval Japan, so I bubbled with delight at seeing these things. I took far too many pictures, so I’ll just share the highlights with you. Outside of many of the temples and shrines were these wishing walls. People write their wishes on these little wooden plaques and hang them up. Since the cherry blossoms had just bloomed the week before, they had some special cherry blossom ones. Apparently cherry blossoms in Japan only bloom once a year, and they only last for one week. It just so happened that cherry blossoms bloomed the week BEFORE I got to Tokyo this year, but there were still some other pretty blossoms. These might be plum? I’m not a flower expert yet, sadly. I grew up in a eucalyptus forest and fell in love with trees at a young age. There were so many gorgeous trees in Tokyo–there was so much greenery in general. My hometown is basically concrete, so all the green filled me with joy. This was one of the many trees in that park. I loved that the Tokyo National Museum had so many, many exhibits from different areas of Asia. My (admittedly limited) museum experience thus far has definitely skewed toward European artifacts. I never realized how many statues of Buddha exist in the world. There were scores of pictures I could share, but I found this one particularly interesting because it reminded me of depictions of Christian saints. This is from the 2nd or 3rd century AD, so it’s very possible (from my own conjecture, not basing this on knowledge of this statue itself) that they had some similar influences. Things like this broadened my understanding of how interconnected the world really is and has been. There isn’t a story behind this one. It’s just an alabaster bowl from the Neolithic period. How cool is that?! It’s so pretty. Enjoy the prettiness and imagine who might have used it. Aaaa, this one still makes me freak out inside. It’s writing from the 22nd century BC. The text says: “For the goddess Ninmarki, a brilliant lady, the eldest daughter of the goddess Nanshe, His (Gudea’s) mistress, Gudea ensi (ruler of) Lagash, Her (Ninmarki’s) city wall of Guabbatur (place name). He built it, and, inside it, Her temple, he erected for her.” Isn’t that great? An ancient story on a cylinder. One of these, both clay tablets from the 21st century BC, is basically an ancient receipt for a guy named Lugalerman who bought oxen, a donkey, and horses from a guy named Abbakalla. I met a really, really old Egyptian. These gorgeous pomegranates, basically life-sized, are made of agate encrusted with rubies. Yeah, those seeds? They’re rubies. No big deal. Behold the beauty of this sword from the Edo period in Japan! A couple days later, we went to the Imperial Palace Gardens. After a picnic lunch, we explored. These Gardens are in the midst of a super modern bustling business and government area. Inside the walls, though, it’s like stepping back in time. I love dandelions. I always have. This tiny field took my breath away and captured my imagination. I’m stealing it as inspiration for part of The King’s Son, book 3 of The Firstborn’s Legacy. More gorgeous flowers. I’ve never seen spring quite like this before. Samurai lived here. Isn’t the architecture lovely? I repeat, samurai. This was a watch tower. One day, we went to Yoyogi park. We ate a picnic lunch there, after I ordered my meal in Japanese. The Japanese people I met were so kind and patient. There were more lovely trees covered in blossoms. Again, I’m absolutely in love with trees. One of the most notable features of Yoyogi park are its crows. These crows are gigantic. There’s a reason I took this picture from so far away: They’re also very bold. While we watched, a crow swooped into the lap of a vigilant picnicker, snatched her lunch from under her arms, and flew off with it. She and her friend shouted and waved their arms, but the crow would have none of their intimidation. See here the horde of crows feasting on their lunchtime spoils. The park was full of perfect tulips. On another day, we went to a bookstore. The bookstore was gigantic! This is a small portion of it. Here we see mainly foreign magazines, but the rest was, of course, full of Japanese. Being surrounded by books but unable to read them was a surreal experience. These were my kinds of things–I’m all about the books–but their knowledge was just out of reach. My favorite section of any bookstore is its children’s section. Finding the children’s section here was a delightful treat. I loved recognizing familiar friends like Le Petit Prince and The Hobbit. In the midst of a random neighborhood on the outskirts of Tokyo was cute cafe with the most adorable cream puffs I’ve ever seen. I was talking with my friend when the server carried a tray of cream puffs to the table beside us, and the cuteness stole my attention. I stopped mid-word. This Totoro was filled with custard, which I liked even better than the usual whipped cream. He was almost too cute to eat. Almost. Those are the highlights! I also tried a lot of new food, as I had not eaten much in the way of Japanese food before this trip. I loved everything I tried–except sushi. I didn’t hate sushi, but I learned that I do not prefer it. While I was there, Amazon finished processing the new edition of the e-book for The Weavers’ Blessing! You can buy it and the paperback here. 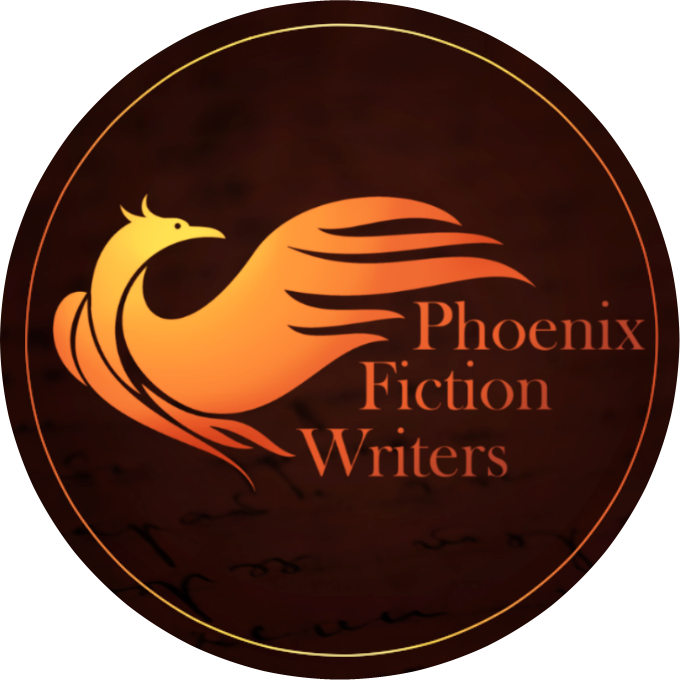 Also, I had the honor of writing a guest blog post for Hannah Heath, one of the Phoenix Fiction Writers and my author friend. I got the inspiration for this post, “Don’t Write Every Day: 9 Ways to Rest and Rejuvenate” while I was in Japan, so I was delighted to have the opportunity to write it for her. It’s geared for writers, but really applies to anyone. I think most of us have a tendency to overwork ourselves. If you’re feeling tired and weary, physically, mentally, or emotionally, you should check it out. Hopefully it can give you ideas of ways to find refreshment. While you’re there, be sure to follow Hannah’s blog. Also follow her on Twitter, Facebook, and Goodreads–she’s amazing, and she’s got great nerd humor, sarcasm, and kindness for you. That’s all for today, friends! Have you been to Japan? What did you love about it? What’s your favorite trip memory? Please like this post and let me know in the comments.